Just did a quick search at Basketball Reference looking for players with a similar career profile to Andray Blatche. The parameters — 6-10 or taller, through 6 seasons has an offensive rating of 101 or lower (Blatche is at 100); a usage rate of 22 or higher (Blatche: 22.7); at least 2,000 career minutes. The only guy to get excited about is O’Neal, but Jermaine was a good rebounder (Blatche isn’t) and a terrific defender who actually made the All-NBA team in his 6th, 7th and 8th seasons. 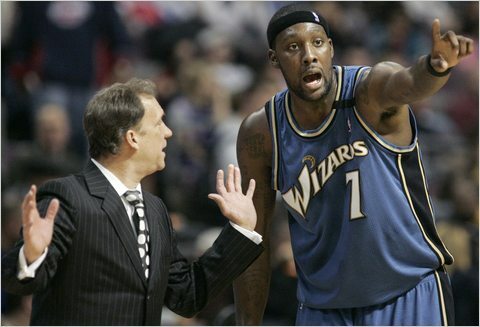 Unfortunately, Blatche is a lot more like the other schlubs on the list.